After asking fans to share their suggestions of where he should drink and dine while stopping in the Lilac City this spring, Alton Brown was spotted at a handful of North Monroe businesses Wednesday ahead of his evening INB show, Eat Your Science. It turns out a few of Mr. Brown's stops were to places he also visited last time he was here; Coeur Coffeehouse and Ruins (though in 2015 he sampled Chef Tony Brown's sandwiches at the former Stella's Cafe, which has since merged with Ruins). 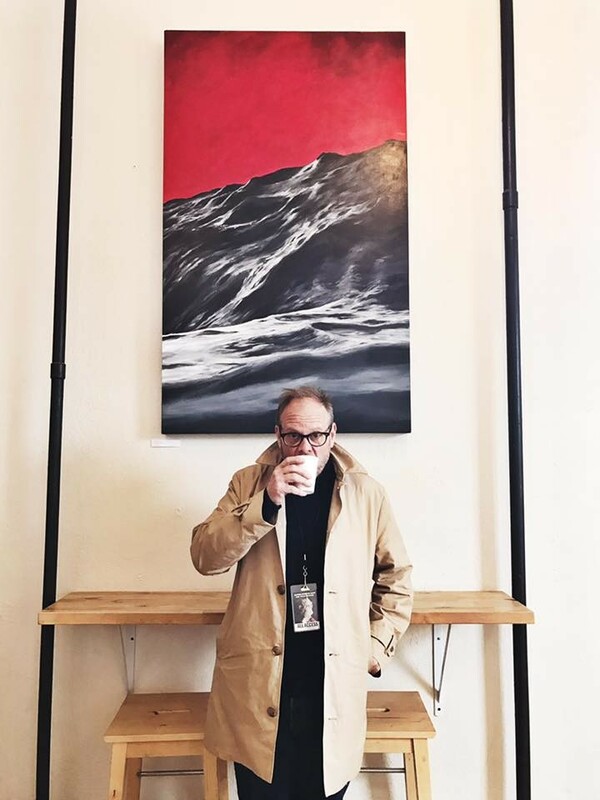 The known coffee connoisseur was spotted at both Vessel Coffee Roasters and Coeur, ordering a cortado at each. He spent his midday meal sampling a burger, sandwich and cocktail at Ruins. Brown also made a pit stop at North Monroe's Giant Nerd Books, where he shared a cryptic photo on social media asking fans to guess his location. Many wrongly guessed Auntie's Bookstore. Brown's stop in Spokane was a quick one, and he was in Boise by this morning for the next stop on his national tour.